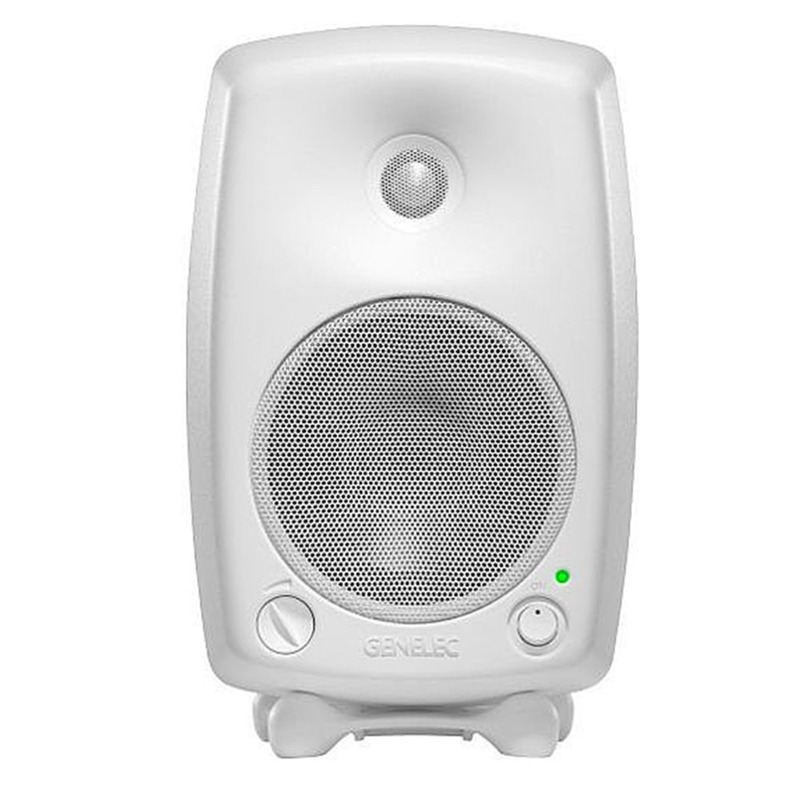 The incredibly compact form of the Genelec 8030B WM monitor makes it the perfect system for the small project or home studio. The single monitor is shown here, but a pair is also available at a great price. 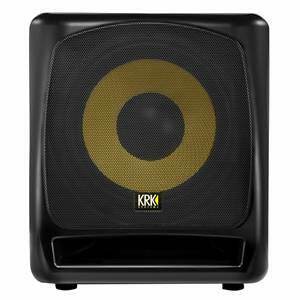 The rounded edges and curved front of the MDE (Minimum Diffraction Enclosure) allow for a smooth frequency response and imaging qualities ideally suited to in depth mixing. 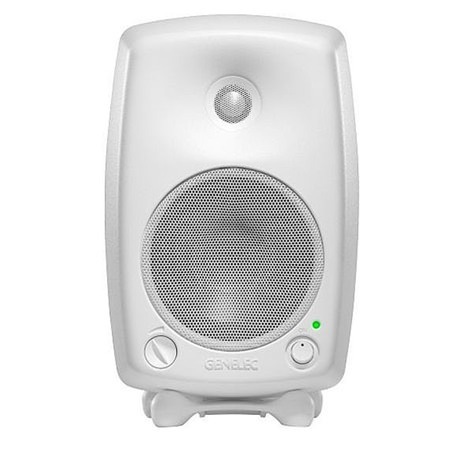 Like all Genelec 8000 Series monitors, the 8030B WM also features the advanced Genelec DCW (Directivity Control Waveguide), a revolutionary flow optimised reflex port design, optimised die cast aluminium structure with extremely durable semi matt finish and acoustically optimised metal grilles. Low distortion drivers are driven by dedicated amplifiers after sophisticated filtering. Magnetic shielding, overload protection circuitry and versatile room response controls are standard. The versatile mounting features include integrated rear support points for wall and floor stands plus a further 3/8" thread for mounting on the cabinet base. 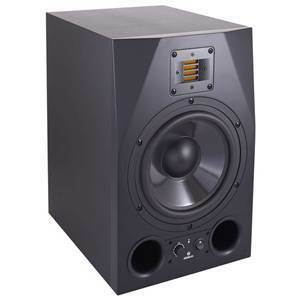 Every Genelec 8030B WM monitor comes with an Iso-Pod (Isolation Positioner/Decoupler) as standard. The Iso-Pod is a clever mounting stand, which allows the system to perform in either the vertical or horizontal position. 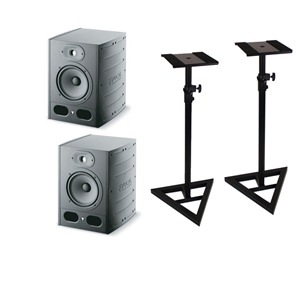 It also enables the acoustic axis of the monitor to be aimed at the listener, while acoustically and mechanically decoupling the monitor from the surface it is resting on. 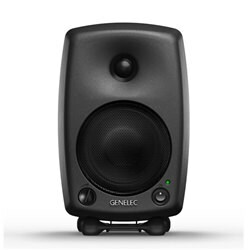 Genelec's ISS (Intelligent Signal Sensing) feature, reduces power consumption to less than 0.5 watts by automatically switching the active monitor to standby, when no audio signal has been detected for some time. When it receives an audio signal again, the loudspeaker turns back on. ISS is fully compliant with the latest EU requirements and the ErP 2013 Directive for electronic devices.